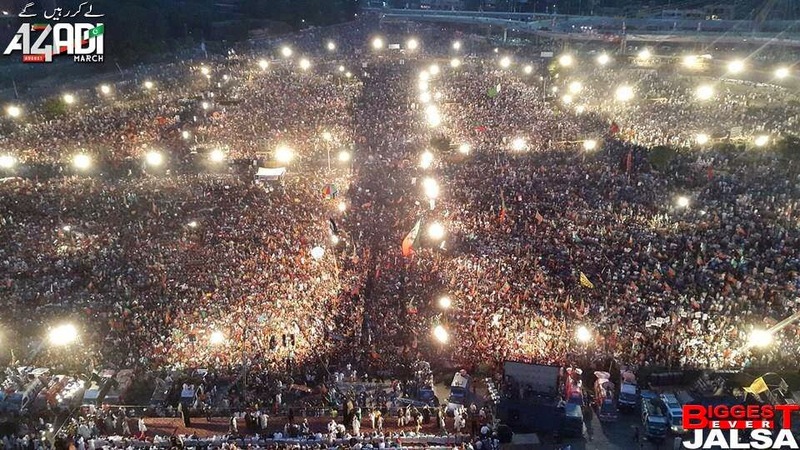 What does Imran Khan hope to accomplish with his multi-city protest campaign in Pakistan? Will PTI-PML talks succeed in stopping protests? Is Pakistan really the 8th most dangerous country as claimed by a US-based group? Is Pakistan more unsafe than Mexico where the death toll from drug wars is higher and climbing? Why are some Pakistanis critical of Malala's Nobel Prize? What was the real voter turn-out in Indian-occupied Kashmir? Will India return to talks with Pakistan after the state elections in India? Imran Khan's Karachi Protest; Malala's Nobel Reactions; Indian-Held Kashmir Elections from WBT TV on Vimeo. India DOES NOT currently have a Deputy Prime Minister and LK Advani is retired. Time for you to consider retirement. Anon: "The 11% voting in Srinagar is 2002 news.Check the bottom it states"
Let's wait and see the Srinagar turn-out this year. It is traditionally very low. All the eight constituencies of Srinagar district together registered an increase in the voter turn out — 28 per cent — which was six per cent more compared to that in 2008 Assembly election. It was a mere 10.71 per cent for these constituencies in the recent Lok Sabha elections. It was 66.6 per cent in the Assembly polls in 1987, 19.24 per cent in 1996, 11.17 per cent in 2002 and 21.93 per cent in 2008, according to official data. FYI: 1987 elections with 66.6% reported turnout are widely believed to have been massively rigged by India. ^^RH: "What was the real voter turn-out in Indian-occupied Kashmir? The link you have provided is to an article describing elections in 2002. Pakistan’s prime minister ordered emergency measures to increase petrol supplies, as the deepening fuel crisis in the south Asian country threatened to further undermine confidence in Nawaz Sharif’s government. Motorists lined up to fill their tanks outside petrol stations across Pakistan amid fears that existing stocks would run out. “We have moved back to the stone age,” said Ikram Khan, an Islamabad taxi driver as he waited to buy fuel behind as many as 30 cars. “Soon, we will need to build stables for horses, because that will be the only means of transport left in our country,” he joked. Critics said the fuel crisis further tarnished Mr Sharif’s already weak credentials, amid mounting criticism of the failure of his government to tackle the worsening security conditions caused by Taliban-related militant attacks. Hafeez Pasha, a respected economist and former government minister, said the fuel crisis illustrated how the government had “lost its writ”. “Their inability to rule has been badly exposed . . . this government must be asked to go. This can’t go on,” he said. According to officials, the crisis began earlier this month when banks refused to extend further credit to Pakistan State Oil, the state-owned fuel importer, to pay for imports beyond its existing credit of Rs200bn ($2bn). PSO has also failed to collect money it was meant to receive from privately run electricity generation companies, who in turn are owed large payments by government-owned power distribution companies. One economist said this could amount to a further Rs50bn. However, a senior finance ministry official said the failure to build up fuel stocks was due to the ministry seeking to maintain tight control of expenditure on oil imports to keep within spending limits agreed with the International Monetary Fund under a loan programme. “This problem has mainly been driven by fiscal issues” he said. Pakistan’s worsening security environment was illustrated by a vicious Taliban attack on a school in Peshawar last month. In the wake of the attack, the Pakistan army, led by General Raheel Sharif, has taken charge of security policies, pressing politicians to amend the constitution and creating courts presided over by military officers to try terrorism-related suspects.